Today is the 27th, which stands for preaching the gospel of Jesus Christ. For the past few days, I have had it on my heart and in my spirit to write on this topic. It is never an easy topic to approach. Most don’t even touch it until around Easter. But, we have to understand something about GOD. He wants us to be ALIVE in HIM. In the days we live so many are fascinated by strange shows, ones with zombies or sorcerers. I believe the reason this is happening is because people ignore spirits. So, when u ignore something or someone, it will do one of two things. It will either leave you alone, or wait till you seem weak and return. There are many hurting people in the body of Christ. It is astounding how many leaders are bound by the spirit of pride. This goes ALL the way back to the fall of man. Look at the garden of Eden. What was the first sin? It was pride, which was rooted in FEAR. The enemy knows this. The fact is, our accuser and opposition is not dumb as many think he is. I am not saying he is the sharpest tool in the shed, but he is by no means stupid. Many leaders think that they can just do whatever THEY desire and God will not care. But this is NOT the case. GOD does care and He is making it very clear that it will NOT stand in HIS house or BODY. the enemy has convinced them that no one cares, but this is a lie. One I myself, believed for years. This will be a beautiful time, where people are literally raised from the dead. It has already been happening. God is faithful. He has a purpose, no matter what we think or feel, that will be done. I don’t know about you but I want to be part of HIS perfect plan. It will also be a difficult time for many. I grieve for those who reject God. Many of them have no clue what is coming for them. I am praying for HIS mercy, but what he desires must come to pass, and God gave us a choice. That is what it comes down to. He did, and for good reason. He does not LORD over us to guilt and condemn us. He is not expecting us to be fixed before He will help. He is a GOD of LOVE and ADORATION not a GOD of condemnation. I cannot count how many times God has brought me back to life. Let alone people I know or our own family. Times where my heart almost stopped, or the beat could not be found, and times where I just fell into a pit, and the enemy wanted me to stay there. Jesus would reach down and lift me, once again from the miry clay. In fact, when it has happened there was only PEACE and LOVE and beautiful GLORY, and kindness. I stand in AWE of that. I was able to get dressed and even though I was still feeling some nerves, my husband prayed, and we got there with little confusion, though the enemy tried. God prevailed! When we got to the place where we were supposed to go, I saw my friend, and God in her lit up the whole room! I was so thrilled to see her. Even more so to hear abt all God had been doing in her life. There were some bumps of course, but GOD is so much bigger. To think that 5 years ago, God had me planting seeds of FAITH in her. To see them harvesting was such a glorious gift, unto our KING. I would have missed it, if I had chosen how I felt or to serve my emotions that day. It was truly a joy. Resurrection is a powerful word. It does NOT seem easy at times to serve God in this day we live in. But, I am grateful so beyond words grateful, for ALL the resurrections that are happening in our lives and those around us. When He spoke of raising the dead, it was NOT just literal, though that is a part of it. People will persecute, call us names, threaten us when influenced by evil, but we must persevere in Christ. We cannot give in. Even our kids are learning that, it is NOT an easy lesson. But, it is one that MUST be learned. When we disobey, there is consequence. Depending on what we did, the consequence can be severe. 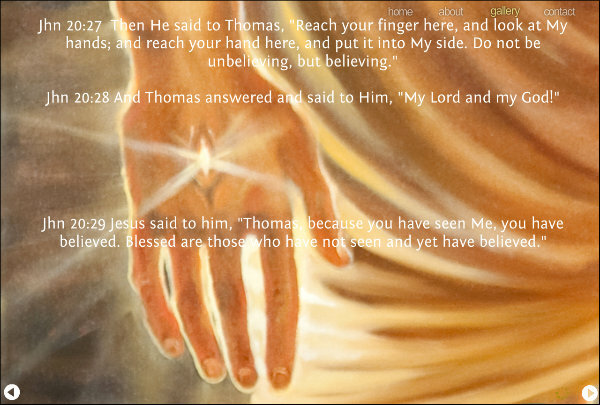 Will we believe GOD, know that he can be trusted? Some of us have been and are still like doubting Thomas’s. But Jesus did not even condemn him, he just showed him the proof. That is how phenominal our God is. As someone told me recently, the enemy will try to dig up dirt on us. A dear sister shared with me, “you are free of this that is trying to reach you, They are looking for an open door, a place to be welcomed in.” She was talking about something I had done as a child. The enemy cannot resurrect LIFE, He can only resurrect DEATH. I have had times where the enemy would try hard to convince me I had depression again. But, almost every single time that I went through something I found out I was interceding for someone. The times I was not, something was coming at me from a place of wounds in my life or our family. If we are praying faithfully, as the word says we should, we will have to learn to discern if symptoms are ours, or someone else. God is not a man that he should lie. he will never lead us astray. Who do we belong to? What to we belong to? Do we worship people, a building, friends? Because there is GRAVE danger in this. I adore our friends, and I love going certain places. But, God has convicted us that NOTHING deserves praise but HIM. I still see certain people and feel strange. Meaning maybe I feel anger or resentment, or hurt. But, that does not mean it is mine. Daily we release our feelings and emotions to GOD. Perhaps those people do not. Ask GOD, about everything. He will reveal and expose what is needed. If you are going to a movie, cooking dinner, feeding animals, taking a walk, watching tv, meeting a friend, reading a book, cleaning house, taking a nap, or you name it, GOD cares. We have heard people say, “I can’t hear God.” the only way we can share that God speaks to us is in LOVE. If you have not let God in to love you, then you won’t recognize HIS voice. His LOVE to quote a dear sister is like “sunshine on a garden.” She said this about our friendship, but at the core of it is GOD, and HIS LOVE. Soul ties must be cut. If you have a spouse who is an unbeliever, you cannot be linked with him or her. Let GOD be your spouse. I love my husband, but there have been times, when he was not seeking GOD that I had to do this. Also, so has he, and it is why we are still married and walking in unity with God. I am not saying someone should walk away or divorce necessarily, but we must SEEK GOD. Yes, God hates divorce. But, he hates us being unequally yoked to. Only He alone can direct our path. There have beenmany times, even in our marriage that we had to cut unGODLY soul ties with each other. The only safe tie that binds is GOD. We have stood in prayer and asked GOD alone to bind us. If a couple is not united in HIM, it can really be awful, and HELL as some of you may have noticed. I know we have. 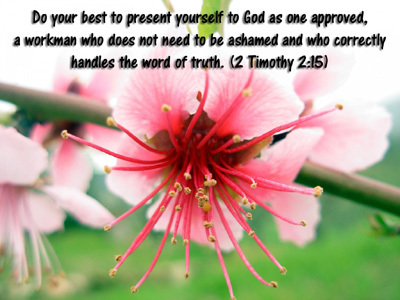 Lets look at this scripture that is quite well known. This is a great example of how God loves. But it is NOT the only way to love. Some people love from control and manipulation, others love from pain. We love the way we were taught how to love. Love that is impure is not the best kind of love. The most wonderful LOVE we can experience is from GOD, because HIS LOVE is always true. The revelation that I got recently about raising the DEAD is simple. If we are not doing so in HIS LOVE, and it is not He doing it through us, it won’t work! It may look like it does, but it won’t be sustained. Jesus never sinned because He always went to the Father. God the Father did everything through Him and Jesus did everything through HIM too. It was never about self, feelings, emotions, it was always 100% about GOD, and HIS plan. Shouldn’t we be this way? I know I try, but often feel like I am failing. Thank GOD for HIS GRACE. Once again, He uses everything but HE excuses NOTHING! A great leader has to be resurrected daily. Look at JESUS for example. He lives a new every day in each of us. Yes, He is not always present in a tangible sense where we can see HIM, but HE is very much here. 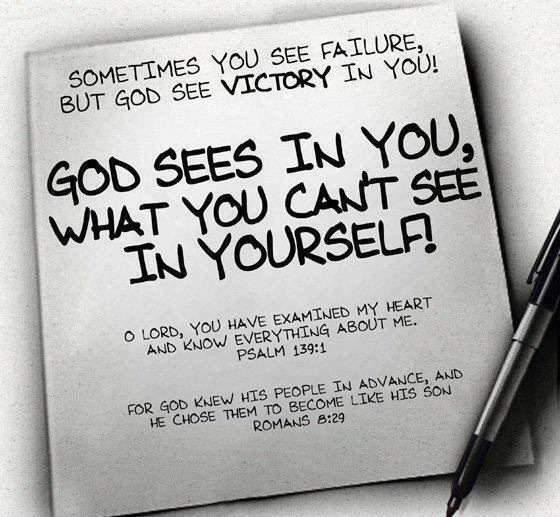 The enemy has caused many to believe God does not see what we do, but He does. Another thing that happened yesterday was Sarah E saw something and it happened to be a picture. In it she reacted to what was coming off of it. It was not JOY, not even close. She began to speak negative abt this person, and I said, “This person is not moved by kindness, but God is bigger.” We are not trying to curse the person, but speak that GOD is bigger than what we feel. He is you know, so much bigger! I mean, I had like 5 days recently that felt like sleep walking, and my family kind of left me to myself. It was just me and God. I felt very lost, like I was in an ocean of emotion, with no buoy in site. Again, but GOD, on that 5th day, the day of Grace and favor, He pulled me out of the quicksand again. He showed me a lot of confirming things, like certain people were not really for us, of for HIM, and we needed to disconnect. I had something happened recently which shocked me. I was just flabergasted at what people were doing, and calling it God. there was no kindness, just emotion, and again backing it up with I prayed about it. I asked the Lord to heal the wounds causing me to react the way I did. So many times in my life I have been rejected in HIS name, and I am certain to have more. It was not just one thing that happened, but a series. But God, He was faithful, and I will keep praying. Because when those things happen, and we set self on the altar, we see the purpose of God’s plan in it all. Then, the feelings or emotions, or even the spirits influencing us have no power. Because we surrender to GOD alone. I will say again and again, I am NOT perfect, but I serve a PERFECT GOD! The “crazy” faith we have may look ODD to some, but the fact is this, when we stand in FAITH it is about LIFE not death. We have been led to seek God to remove obstacles, and in some cases people that are trying to infect us or poison our walk. God is NOT playing around, this is NOT the time to just dig your heels in because it looks like it is the right thing. This IS the time to SEEK GOD. because when we do, then our ways will become HIS, and God will make us into a signs and wonders. He wants to do this. God desires for us to be ALL He created us to become. He wants to bring us back from the dead. That means changing what we watch sometimes, and what we listen to, and even who we spend time with. I am amazed that so many people in leadership are not aware of certain spirits. This will not always be the case. People will either do it God’s way or perish. There really is no inbetween. It is either God or satan. In 2010 he had me write a book about this topic. The point is choosing FAITH over FEAR and it is a LIFELONG process, commitment and covenant with GOD. Some people wonder why we have to break UnGodly soul ties daily, close doors to evil, choose LIFE over Death, speak the blood of Jesus, and walk out the WALK in LOVE. Here is the simplest reason, because God said so. The weapons of warfare are not carnal, or physical. 6 Being in readiness to punish every [insubordinate for his] disobedience, when your own submission and obedience [as a church] are fully secured and complete. I was watching a show recently, which I don’t watch as often now, cause I can barely stomach it. Anyway, an entertainer was talking about his marriage and said, “We have to of course keep the LUST alive.” I about threw up. I looked at our daughter and said, “Are they serving God?” She said, “no way, though they may think they are.” I said, “Sadly, I am not sure they care.” But, GOD does! LORD, bring them back from the DEAD. Verse 6 in the scripture is particularly important. If the church is messed up with spirits, how can it fight the darkness? This is why the enemy’s spies have made their place there. But this is rapidly changing. we must understand that though the men and women of God whom God used were good examples, they were not perfect. Just because someone said something, we must not worship what was said. Jesus is perfect, and He is what brings all the imperfections to a halt. Specifically, by uniting with the Father and the Holy Spirit, the LORD has HIS way and HIS way alone. THIS will be a glorious season IF we keep our eyes focused on Christ. IF we preach like HIM, because He must be the one moving in US to raise up the dead. Those who have been beaten, abused, hurt, hindered, thrown out like trash, kicked, bullied, and so much more. In Christ alone our hope is found. Watch HIM bring the CHURCH back from the DEAD!!! 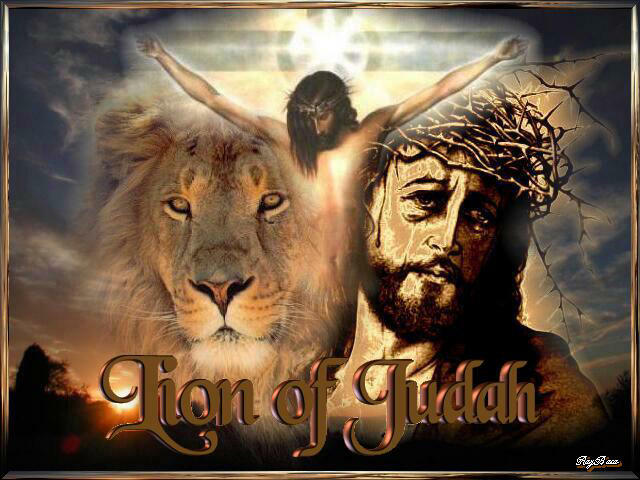 Let God arise and HIS enemies be scattered….hear the LION of JUDAH ROAR! Stand on the promises of GOD and watch TRANSFORMATION happen all around you. FOR HIS GLORY and purpose alone. This morning when God woke me abt 5 something, He reminded me of something. I went to sleep crying out for those suffering, some very dear to us, but ALL very dear to HIM. He reminded me that HE keeps His promises. God will meet us where we are, He will give us time and room to grow. He will give us Grace to learn, but not Grace to habitually sin. Who and WHAT are we trusting in? What makes us quiver? Do we shake in FEAR of the bad of reverence for the GLORIOUS??? This world is coming out of rebellion. I know it does not LOOK like it, but GOD keeps His promises. One of them is this, when we pray He answers. It is NOT always the answer we desire, but it is ALWAYS the one we need. His word says, “If my people will humble themselves and pray, I will answer.” So are we? Because how can we expect to see the change if we are not coming with repentant hearts in obedience to the LORD? The Lord, also led me to this scripture in Psalms. 5 Happy, blessed, and fortunate is the man whose quiver is filled with them! They will not be put to shame when they speak with their adversaries [in gatherings] at the [city’s] gate. What if we began to see our children as God’s reward. Because they are HIS first. He decided from a LOVE for us and them, to share. Someone told me yesterday that a child is not born innocent. But, what God showed us is, the innocence is there, it just gets covered up by the world. It gets buried by stress, fear, anger, anxiety, hurts, unforgiveness, pain, and so much more. Many of these things start as emotions, and then grow. We can give roots to things that don’t need them. When we do, we give the enemy a welcome mat to come right in. Now negative things will happen, even devastating ones at times. Long suffering is a fruit of the spirit. We all will have a JOB season, who serve HIM. It is just part of it, and even the agony and anguish has purpose. The purpose is to bring us closer to GOD, strange as that seems. He does restore, and He ALWAYS tells the truth. 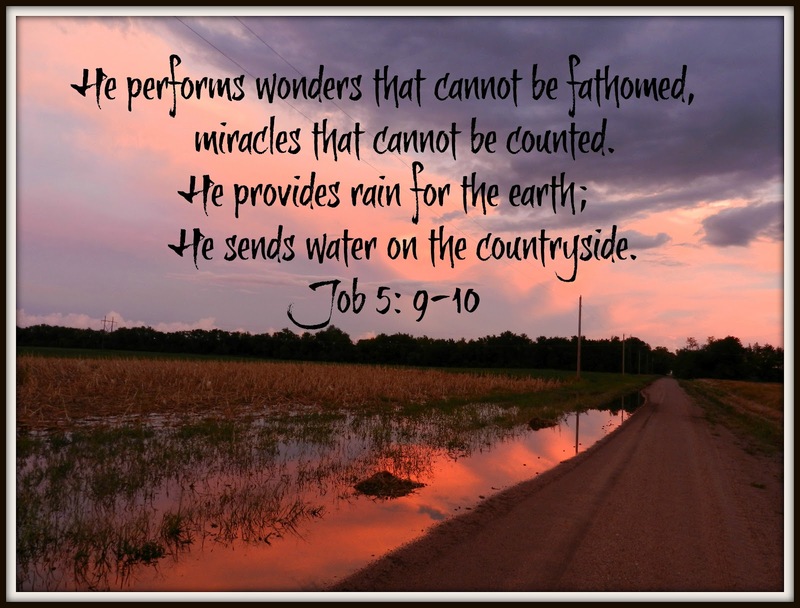 Our GOD is a GOD of wonderful promises! A precious sister had something tragic happen recently, and as I prayed for her, I could not only feel her pain, but I could see her tears. God sees them to, and is holding her hand. In fact, whether they realize it or not, He is holding the hand of every family member. God grieves as we do. No matter how many times the enemy tries to get her or them to believe otherwise. God, and HIS ways will shine! The verse just mentioned was what came to me when praying for her. I found myself weeping before the LORD, not just for her pain but my own and all the other children who are enduring. The ones who are being lied to, abused, beaten, neglected and so much more. These are children of GOD! We cannot take that lightly. Even if someone just saw them as their own, should we not be grateful for what we are given? 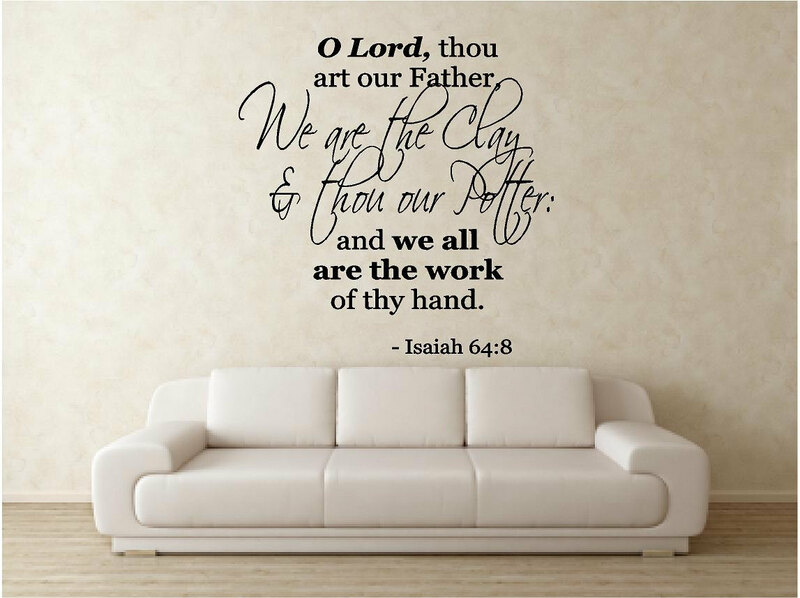 Should we not honor them, and GOD in them? I know the day to day stuff happens, and no we should not DWELL on the enemy but we should be AWARE of him. Because if we don’t teach the kids, our kids and other ones, that rebellion is a sin, and not pleasing to God, and by His words, “witch craft” then who will? I know this is a tough topic. I was not thrilled at first about writing on it, But, I have learned to just obey GOD, and He does the rest. He does it THROUGH us, around us, with us, and even IN US. Only GOD can do what he does, the enemy can try and fake it, and mock the LORD, but GOD always has the final say and the last laugh. He always brings the JOY! God has been pulling us deeper into intercession for HIS kids. Prayer for Israel, Jerusalem, and all of HIS nations. Prayer that each child will be given the Heavenly opportunity to experience God’s LOVE, is often cried out. Then, we praise GOD for what he has done, is doing and is about to do. Because there will never be a time where He is not worthy. 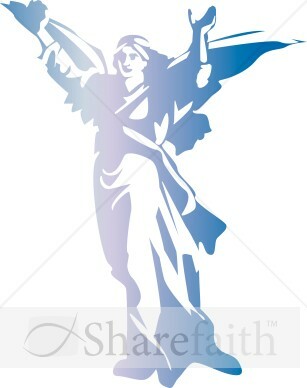 This is a time where the demonic seems out in droves, but so are the angels! I repent today for not giving that enough attention. I praise GOD for the angels, but never say thank you to them. I know this seems strange, but perhaps just because we are not used to it. We should thank them, THEY are messengers of God, even say good morning to them. There will be a time very soon when they will NOT be as hidden as they were. I have one friend who always has something negative to say whenever we are led to post about something regarding a warning. But God, I pray He meet my friend and brother where he is and heal his heart from negativity and law of the land. Because GOD is able, far more able than we as His people have given HIM credit for. father forgive me for times I have not believed or thought the worst. I choose today to forgive myself, and I pray your GLORY continue to multiply. Thank you for the ULTIMATE sacrifice that you made, so that I and all of your children could receive FREEDOM in you. It is time to take not just steps of FAITH but LEAPS! LORD, grow us by LEAPS and BOUNDS!!!! help us not to regret or feel guilty for what was, but stay focused on what you have coming, and the JOY you bring!!! Last weekend God led us to a conference. I know 100% it was HIM. I laid out a fleece that if He wanted us there, He would make a way. Because ya’ll in many respects, there was no way. He did, and He moved. He gave us money for the trip, and favor as well, HIS favor. Our car died 2 times before we got there. It was a test for us, because God has been dealing with us on HIS time. We were running late, car would not start, our sweet neighbor had some info about the car. As he spoke I got frustrated, thinking where is this man’s faith. I heard God say, you are my examples, and he just needs to be heard and loved. SO, today I ask LORD that you bring him opportunities to be heard by you, and LOVED deeply by you. I repent for feeling frustrated, anxious or anything else, on behalf of me and our family. Thank you for your amazing Grace and mercy. Because the LORD’s quiver is full, ours will be too. I decree and declare it in the name of JESUS Christ of NAZARETH and through the authority of Christ! I have a few testimonies to share. One is from last weekend. After the conference, where God blessed us to both be used to minister, and also to be ministered to, and refreshed, we were weary. I asked for prayer from this wonderful group God put me in. The LORD heard, and the next day, my JOY and OUR JOY in HIM was even stronger! Now you know when this happens, you must prepare for an enemy attack. 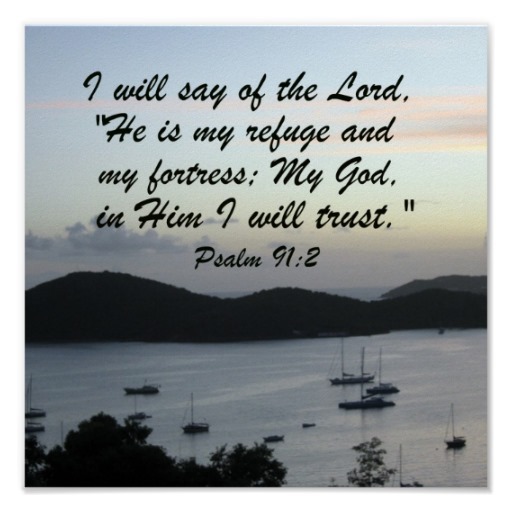 We pray Psalm 91 daily for protection, and praise GOD that the enemy cannot retaliate to a point that is not fixable by GOD. So, we were led to go to see a dolphin that was in the movie “Dolphin Tale.” We love that movie! It is one of Sarah Elizabeth’s favorites. 🙂 Anyway, we got up to the place, and my husband had been under attack that morning a bit from unrest. God provided rock start parking (a spot up front without a fee), and then when we got ready to pay, we can our debit card and it said declined. What God did next was amazing, but “normal” for HIM. 😉 He prompted me to look in the wallet again, and there was an extra 20 dollar bill. God gave us the amount we needed, and an extra dollar to put in the adoption box for Winter. Sarah Elizabeth put it in and said, “Lord, bless this seed for your Glory.” Even thinking about this now, tears well up in my eyes. God was using this experience to say to her, and us, YOU made it! It was more than just a victory for us, it was and IS a victory for HIM. She should have died,by the worlds standards by but He saved her. Why, because she submitted to the healing. I remember when she was born, before I ever knew her in the natural, I could feel the JOY inside. This beautiful gift from GOD, and just the beginning. Because my quiver is FULL! This is what the LORD says, and so shall I. How about you? Is yours full? Are you doing things God way? Are you receiving the POWER of GOD daily? Because if not, I am here to tell you that YOU are missing out! Missing out on the GLORY of GOD, the LOVE of GOD, the mercy of GOD, the JOY of GOD, the Grace of GOD, the PEACE of GOD, the HOPE of GOD, and SOOOOOOOOOOOOOOOOOOOOOOOOO much MORE!!! Today our prayer as a family for you is this. LORD fill up the quivers of your children. 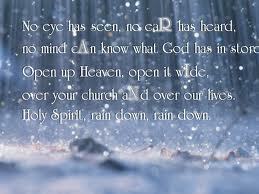 Help us to see the angels through your eyes, and experience YOUR LOVE anew each day. Father we pray for Israel and Jerusalem and even EGYPT today, that you will resurrect their JOY. Bring them to a place of UNITY in you, for your GLORY and purpose. For only YOU can BRING LIFE! ONLY YOU!!! The enemy is jealous because he cannot. You are a jealous GOD, but what you are jealous for heals, delivers and saves us and ALL we come in contact with. We must not fear who won’t reach the Heavens, but have FAITH that your perfect will be done. Thank you LORD that you are a GOD of more than enough. You can drop 20 dollars in a wallet, or 10,000 in a bank account, which has also been done for us by HIM. You will resurrect ALL that you desire us to have and then some, because you know our hearts, and they are 100% for you alone. For all we ever receive is and always will be YOURS! Tremble or shake with a slight rapid motion. WE QUIVER with the FEAR and REVERENCE and GLORY of GOD!!!! Today is the 14th. I am certain I have mentioned this before as led, but it is pertinent to repeat. It means deliverance. So many are scared of this word. But the FACT is GOD is simple at the CORE. He wants us FREE!!! Breaking down this word reveals a lot. DE- to take away from LIV- To breathe life, and have a heartbeat ER- to DO,or a place where a physician fixes you in an emergency. and ANCE- the action, state, or quality of doing something or of being something. The LORD is our master physician. Through JESUS the Father reaches us because He is relational. This is part of why the word says no one comes to the Father except through HIM. what is interesting is GOD is very relational, also personal and authoritative in ONE. GOD is pouring out NEW OIL in this season!!! Are you ready to receive? So, as our physician, or doctor, GOD heals us. He delivers us as well, and redeems us again, all in ONE. 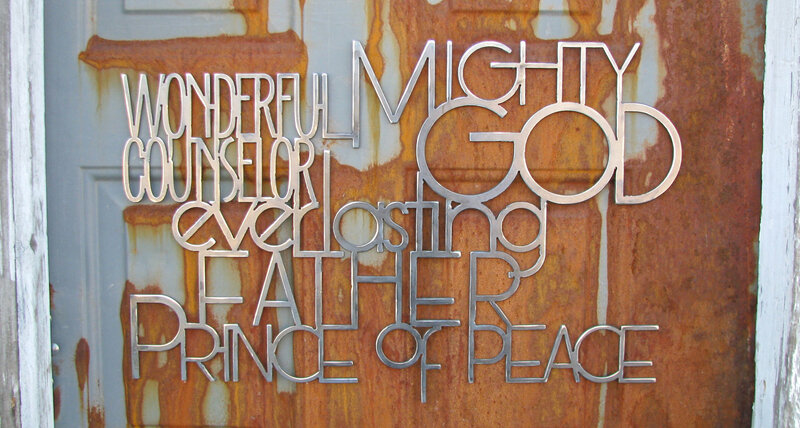 He is a multidimensional GOD yes, but at the CORE of who GOD is and what He represents is so very straightforward. Let’s look at HIS definition of HIMSELF. he used man to relay HIS words. God’s LOVE is HEALING!!! RECEIVE HIS LOVE, BE MADE WHOLE!!! This chapter is about the character GOD wants us to have and ALSO the one that we DO have in HIM!!! HIS WATER IS LIFE WATER FOR OUR SOUL! HIS FOOD IS MANNA FROM HEAVEN!!! HIS time is perfect! This is a powerful time and it will grow more powerful as HE pours out HIS Glory. Again, the enemy will try and stop us, but GOD will keep flowing!!!! HIS water spout never runs dry. GLORY to GOD!!!! NEW LIFE WATER!!!! So, how are we petitioning GOD? Well we talk to HIM. He desire to hear from us. We are HIS children. He says,” let the little children come unto me, for the KINGDOM of Heaven is made up of such as these. ” WE are HIS, He has called us by NAME. Oh, and here it must be noted that it is good to know what your name means. The opposite of that will be where the enemy attacks most. Now, from the medical world perspective, I can tell you there was a time, not long ago when I hated doctors. I believe it was because of wounds I had experienced. They were very deep and I sought GOD to just pour HIS GLORY on them. He did, and now I am beginning to understand something GOD revealed long ago, again. Funny how when we are hard headed or hard hearted, He is patient with us. HIS Grace really is sufficient, and thankfully perfected in our weakness, where HE alone is strong. OK, so God showed us with a doctor there are 3 stages. There is a student, which is a RESIDENT, A graduate student which is a FELLOW and a RESIDENT which is the final stage. The RESIDENT has full authority. The word says to study to show ourselves approved. This is the student, as we graduate from that we go into fellowship with God, and lastly we reside with HIM, or REST in HIM. THIS changed our perspective entirely. GOD removed the sting, and death or FEAR was no longer present there. I believe if I experienced something where God led me to a “doctor” we will stand even stronger in FAITH that GOD has moved, and it will manifest, and their minds, hearts and spirit will be changed. For seeds have been planted and harvest is coming. What brings growth to the garden? RAIN!!!!!! OH GLORY RAIN!!!!!! GOD is a GOD of HOLY resurrection! THIS was part of HIS ultimate act of LOVE, being crucified, taking our sins and coming back in NEW LIFE and form in GLORY!!!!! I am going to post lyrics of a song with the same title…. The songs only share a title, one song is from a place of sorrow, but perseverance the second is from a place of TRUST and ABIDING in a GOD that LOVES US! BOTH can be tied back to GOD, but only if our heart is for HIM. See if you can see which is which…. SO today we come and PETITION GOD to bring on the RAIN! POUR ONTO US all that is needed to rid us of this world and any impurities. Today I was blessed to chat with a precious sister. We have so many wonderful people in the family of GOD. Anyway, I looked at her and said, ” I am seriously a professional repenter.” She said, “That will keep you humble.” I was like, wow! GLORY to GOD!!!!! 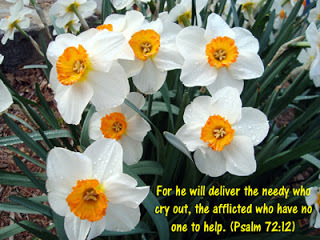 I thank GOD that HE is our healer, redeemer and deliverer. HE alone is FAITHFUL and TRUE! HE ALWAYS COMES THROUGH!!!! When GOD SAYS,” it’s over” it IS! When He says ,”It is NOT over till HE says it is over, it isn’t!” ALL GLORY TO GOD!!!! I beseech you to seek HIM before seeking another physician. Because when we are SEEKING HIM we SEE KING ( OUR KING)! PETITION HIM for HIS PURPOSE, and the GLORY will FALL all around you for YOU are HIS CHILD, HE is yours and you are HIS. OH HOW HE LOVES US!!! LET’S show HIM just how much we LOVE HIM by OBEYING HIM. OBEdIeNCE- BE LIKE OBED! His name means servant of GOD!!! Let GOD arise and let ENEMIES be SCATTERED!!! This morning as I woke I was sore, and I was tempted to speak complaining. God convicted me, and said there is healing happening. So, I began to be grateful. Jesus has overcome the world, so in HIM so shall we. But only, when we do things HIS way. Glory to GOD! This is an exciting time, it looks terrible around us. But, it does not change the facts.It is a time for us to see the BEAUTY develop from the ashes. God made promises to us. Promises that happen more and more as we seek HIS face and OBEY Him. He will keep His promises. he wants to see them fulfilled in our lives. Many are NOT obeying God, and for those that are in this place, my heart grieves, and my body aches. Because what is coming for them is indescribable. Such pain, anguish and sadness will hunt them down. It will not be sent by the enemy. God is sovereign and when we reject HIM and choose other “gods” then He has to chasten us. It is His job to do so. Believe it or not, he does so from a place of LOVE. While typing this out today, He laid upon my heart, I heard a song I used to love. Then, all the sudden I did not love it so much. I connected the song with memories. Again, God convicted me and said to lay it down. To lay every bit of it down at HIS altar is freeing, and it honors HIM. So, once again I took myself, my physical body, questions, emotions, memories, desires, hopes, dreams, aspirations, thoughts, children, ministry, and really anything else that came to my heart mind and spirit. I felt a release. It was almost instant. Glory to God! The dead that will arise first, are HIS children who have been held in captivity. He came and still comes to set the captives FREE. When we are feeling controlled, it is not just the spirit of control, it is also a Pharoah spirit that the enemy wants us to believe is God. It is also a spirit called Kundalini. We have spoken of this before. The latter has been used by the enemy to drive God’s children into the ground. Long before their time had come many of them, but God. The greatest thing about God is whether it looks like it now, He ALWAYS gets His way. Because He is a winner, we become one in HIM. United with HIM Goliaths fall and He gets the Glory. His Bride will be spotless without wrinkle or blemish, and He alone will cleanse us. So, LORD today resurrect us, your children ; and give us your wisdom. Teach us how to remain hidden in you, and be used by you to raise the dead, to command scattering of your enemies. For it MUST be YOU in us to do this, or we will fail, every time. 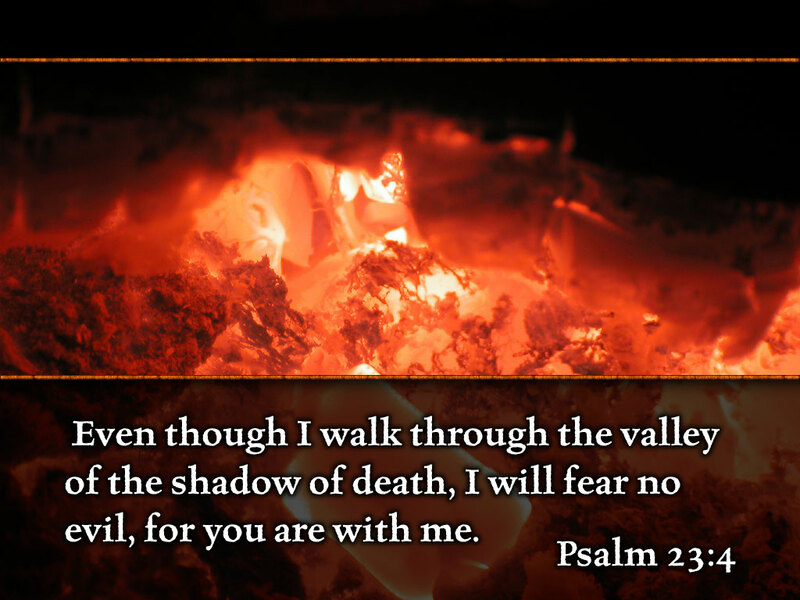 Even when we are in the pits of despair and FEAR, God will come to us. He will give us an opportunity to be set FREE. This choice will be between life and death. God desires that none shall perish. Should we not be seeking to pray GOD’s desires, even above our own? Because this is OUR job, to be used by HIM to bring Heaven to earth. The Lord’s Prayer talks about this. So today we ask God, on the day of the angels, as well as that of judgement and disorder, and in they month of completion to have HIS way. God does not want us ill. he has given us many tools and weapons to be used in battle with the enemy. One of them is OIL. Something as simple as olive oil can be prayed over and used to anoint. Trust GOD, because HIS ways work! He is bringing NEW OIL this season, and with it will come JOY for those ready to receive and following HIS narrow path. There are some things we cannot yet do, but He can. 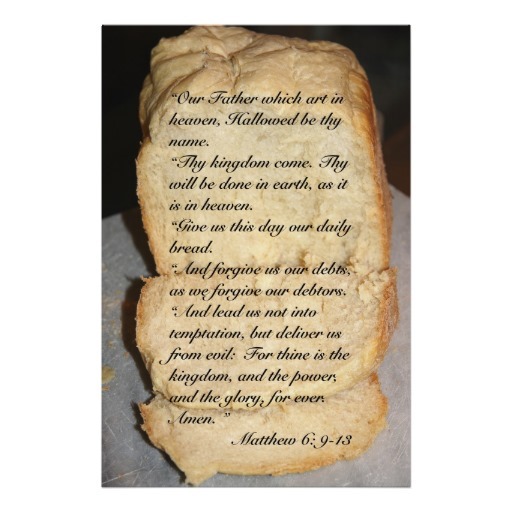 He is a great teacher, and if we are willing to learn, we will receive MANNA from Heaven. 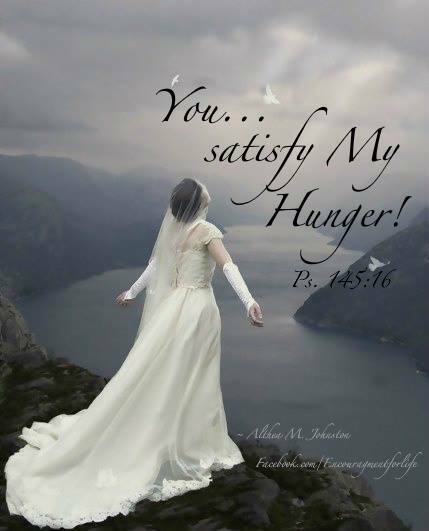 For only He can quench our thirst and fulfill our need for what we hunger for. Only GOD can cause the DEAD to Arise and HIS enemies, which are also ours, to be scattered. All GLORY and HONOR to the Father, son Jesus, and the Holy Spirit. LORD pour into us, so your GLORY can shine, and the DEAD can be RESURRECTED! For we are yours. no matter what part we play in the BODY, we BELONG to you alone!!! We do NOT belong to the enemy and we choose today to come OUT of agreement with him in ALL areas of our lives. Because one of the greatest enemies that satan uses is SELF. Lord, burn away ALL iniquities from us and your children that you share with us. May the DEAD arise more and more, for the GLORY of GOD! May ALL enemies be scattered through the power of HIS might alone! LET GOD arise, and raise the DEAD things in our lives that He desires resurrected. When you do, you will see amazing MIRACLES and the ENEMIES will SCATTER will JAWS dropped OPEN!!! 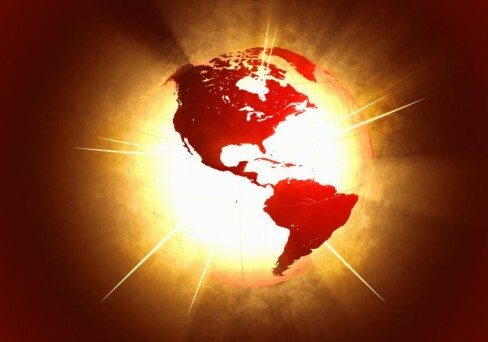 THE WORLD IS ON FIRE!!! What happens when FIRE attacks? The answer is, it ravages. It destroys pretty much everything in its path. What happens when powerful water attacks or wind? The same thing! The world is ON FIRE. Some of it is HOLY and some is VERY unholy indeed. Many are receiving from, and in agreement with, the enemy. Some without knowing, and sadly some with very real knowledge and purpose to glorify satan. This is NOT a time to play around. It just isn’t. Remember years ago, when Billy Joel sang the song “We didn’t start the Fire?” Well, the fact is this, WE DID. Maybe not blatantly, or necessarily from malice, but we need to own it and repent. Why is the rebellion seeming so extreme? Well yes, God prophesied it would get rough, but guess what else He told us? That we have the power, through HIM in US to trample snakes and scorpions. He did NOT, I repeat did NOT tell us to lie down and take it. He did not say that we deserve to be abused, or that we should be doormats. He in fact said, that we are ALL called to be BOLD in the LORD. His word says, “Many are called, but FEW are chosen.” The chosen ones will know who they are. They cannot say, “I did not know, because too many people are interceding on their behalf, and on behalf of the nations , since a lot just refuse to pray. 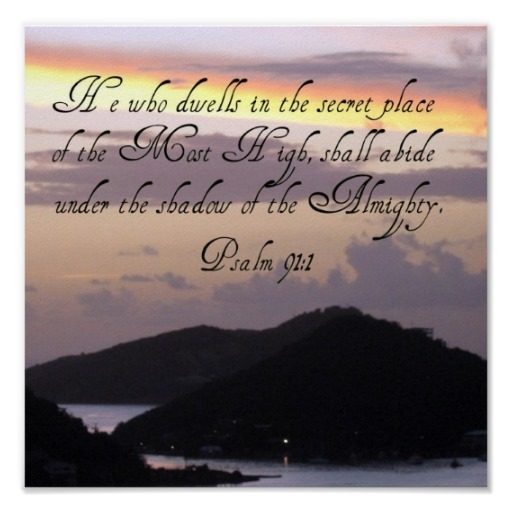 When God reveals His secrets, it is not always happy. Because to our flesh it BURNS. After all JESUS was crucified for our sins. SO, that we could have LIFE and do so abundantly. That does not mean do so in excess. Yet, many of us do so. 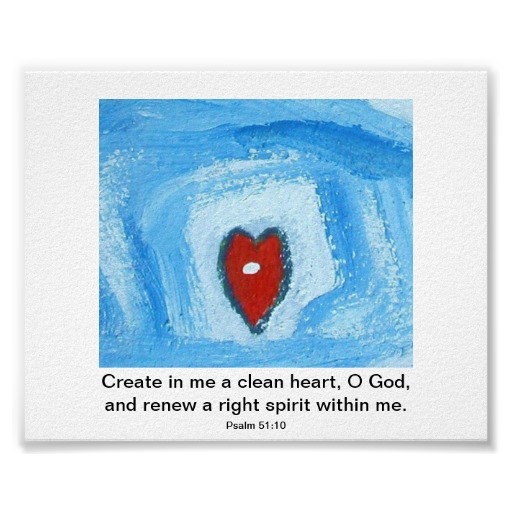 But, we have an amazing GOD who loves us and forgives us and needs us to forgive ourselves and others, and keep repentant hearts, full of HOLY FIRE. HUMBLING is necessary, chastisement is necessary. if we fight it, we will just get MORE. Look around us in our world. The earth is crying out, literally with FLOODS, Tornadoes, Hurricanes, Earthquakes, and more. yes, there is biblical prophesy taking place. However, part of that is for God’s people, HIS children, to step up and be willing to let GO of control, or even desire to. To speak to the winds and the waves, as god moves in us, and see them obey. We can all be in agreement that the “WORLD” is on FIRE. Many have said it is going to “hell in a hand basket.” But, I do not agree with the latter. I simply believe the enemy wants to deceive us, make us NOT open for correction, and either kill us with passivity, or kill us with overzealousness. The last one is simply zeal for things other than God. Was watching “Independence Day” reminded on the 4th, and God reminded us that it is required for us as COGS (Children of God Supers). We cannot just pray against wars and famines, and destruction. We have to pray that God’s will be served in them. Ultimately that as these things arrive, GOD will move and HE alone will be glorified through HIS son, Jesus Christ. 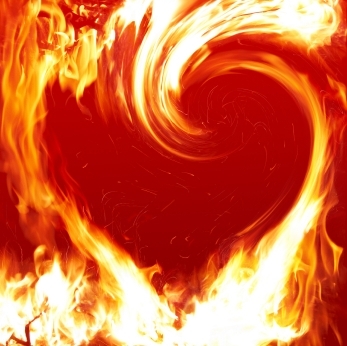 Father, today we pray that you will burn up ALL spirits NOT of you with your HOLY FIRE. We pray that you will release even more warring angels to encamp around your children. That as we are led to go out and be used by you to heal the sick, feed the poor, cast the demons out, and raise the dead, the GLORY of GOD will prevail, and all will know and give honor and homage only to you, our GOD and KING. 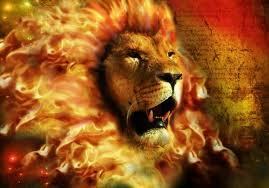 LORD bring your GLORIFIED FIRE, as only YOU can. BURN away all that is of us, so ONLY you remain. Whose Father do you claim??? This morning when I woke I was thinking about birth. Specifically about our birth right. You see it is my husband’s birthday today. David is 40 years old. What is fascinating is, this number Biblically stands for trials and testing. It got me to thinking about the place in scripture where God refers to the womb. 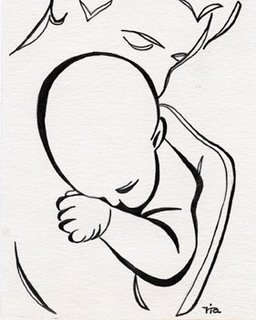 Specifically, how He knit us together in our mother’s womb, and before we were born, He knew us. My husband loves being a father. But he would probably agree that it is the toughest job he has, other than being a spouse. Because he never had a great relationship with his earthly dad. It has been, and still is, a daily surrender to choose God as HIS Father, and seek to be in union with him and labor into HIS Rest. This last week our family has been led to break from electronics. It has been interesting. Now, God has been amazing with it all. There was a few days in when we caught our daughter playing a game, and she was given a few more days, because she hid it from us. It was only because she was secretive about it and influenced strongly by defiance, rebellion and manipulation. But, God. That sentence stands on it’s own. His mercy, grace and LOVE never cease to amaze me. She came an confessed to us, and to HIM what she had done. This was like a resurrection, because she humbled herself before HIM and was redeemed once again. Her repentance and surrender, rolled the stone away. Glory to GOD! 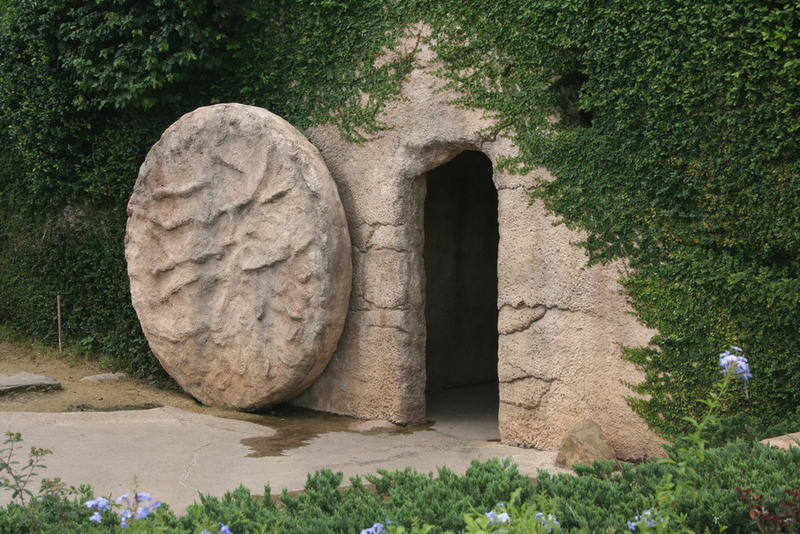 Behold the TOMB is empty! He has risen, our FATHER and HIS SON are united. 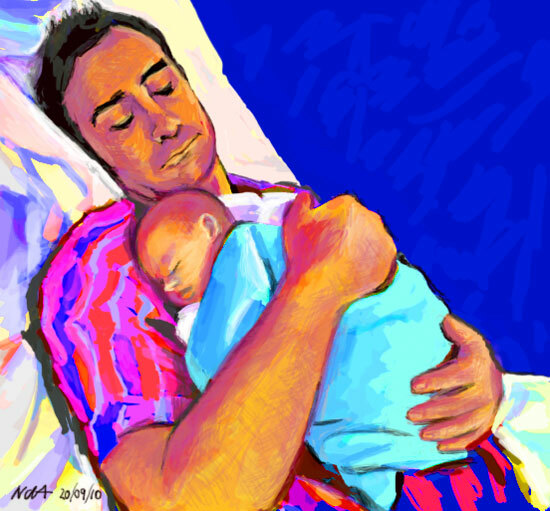 We had been praying that the only Father our children would claim, or we would claim is our Heavenly one. 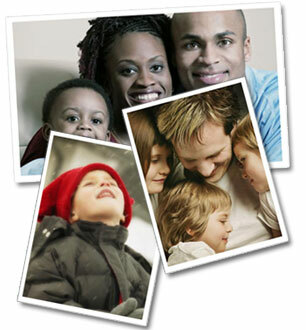 Not to say God desires us to forget our natural or biological family. 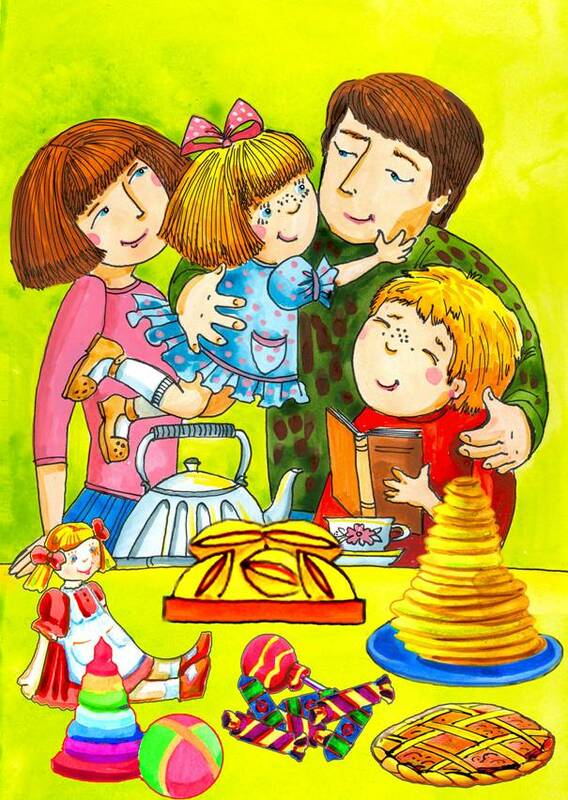 Because, family is important of course, but the word says to seek FIRST the KINGDOM of Heaven. It furthermore says, and then ALL these things shall be added unto you. 33 But seek ([a]aim at and strive after) first of all His kingdom and His righteousness ([b]His way of doing and being right), and then all these things [c]taken together will be given you besides. Personally, my husband and I, LOVE the amplified version. 🙂 because it goes a bit deeper, and we are so in AWE of the Revelations God gives. This week, what God has been revealing, in so many ways, is that we must choose whom to receive from. No matter what happens in the “natural” world, the FREEDOM that is in Christ cannot be stolen. In scripture there is a place in John where Jesus explains about the Father. This is what was really strong in my heart and spirit today. 45 But because I speak the truth, you do not believe Me [do not trust Me, do not rely on Me, or adhere to Me]. 46 Who of you convicts Me of wrongdoing or finds Me guilty of sin? Then if I speak truth, why do you not believe Me [trust Me, rely on, and adhere to Me]? 47 Whoever is of God listens to God. [Those who belong to God hear the words of God.] This is the reason that you do not listen [to those words, to Me]: because you do not belong to God and are not of God or in harmony with Him. What really jumps out to me is the last statement. Harmony specifically, because God desires peace and unity. Christ has shown us that He desires unity in HIS body. Are any of us perfect, without flaw, no. But we should not manipulate the word for personal gain. The word should always Glorify God. Yet so many claim a different father, some without knowing, some knowing very well. Our job as believers is to be used by GOD to bring HEAVEN to EARTH. Let’s go a bit further into that Chapter 8, in John. Jesus had a response for His accusers. It was not mean, or hateful. It was very simple, and to the point. This was what he said. 54 Jesus answered, If I were to glorify Myself (magnify, praise, and honor Myself), I would have no real glory, for My glory would be nothing and worthless. [My honor must come to Me from My Father.] It is My Father Who glorifies Me [Who extols Me, magnifies, and praises Me], of Whom you say that He is your God. Those who LOVE God and seek HIM as their Father may seem few. But, we must know that things are not always as they seem. For this is the time that Elijah will appear. This will be the time that GOD calls in anew way unto HIS children. Many are already dealing with crises. Be it health, financial, or otherwise. God knows, and trust the word is TRUE, it will appear to get more difficult. But, before it does, GOD will test us. Meaning, with each test we pass in HIM, the GLORY of GOD grows. 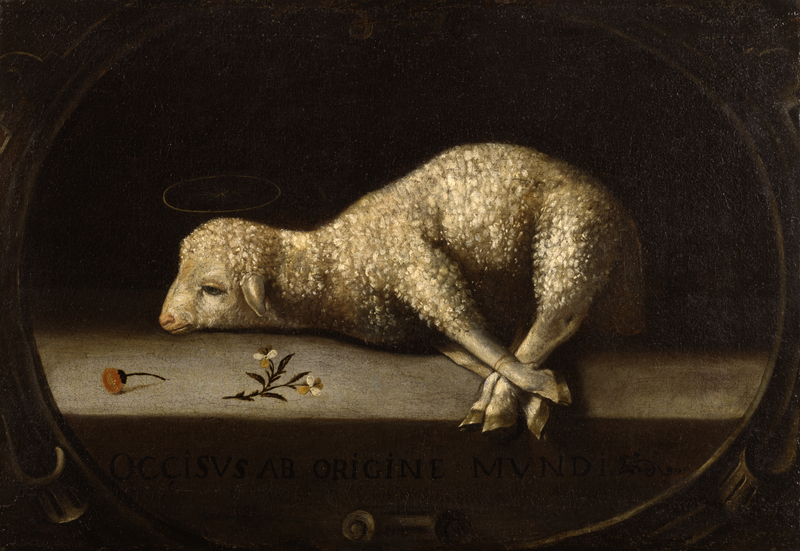 The LAMB of GOD was sacrificed, so that we could become in HIM and THROUGH HIM the righteousness of Christ. In essence the GLORY of God. Think of it like this, in school we have tests. They are set up to glorify the person, because that is how the world works. But God’s tests go deeper and they are SET UP to Glorify only HIM. For we are GOD’s Glory. We are what brings HIM to a place of JOY, when we obey HIM, and HIS ways. Without getting to much into the controversial issues, there are many things going on which GOD is about to undo. It is hard to explain in words the DEPTH of the Father’s LOVE. Even Jesus who came and was fully GOD and fully man, never took HIS eyes off the Father. He never sinned, because He never lost sight of the Father’s LOVE. In parentheses, it explains a bit more about the hymn. Because remember the DEEPER we surrender, the more GLORY comes to our GOD and KING. Whose Father do you CLAIM? DO you believe the TRUTH, are you a sibling of JESUS? Is HIS FATHER yours too? Or, do you choose to believe the LIES, and limit GOD, and indirectly serve HIS enemy? For He alone purifies us from what the world desires for us. Recently, I was led and so was David, to read because we have been breaking from electronics, as previously said. Anyways, I read all kinds of things as led. I have always been intrigued by Crime Novels and Mysteries. before anything appears before my eyes, I seek the LORD. I ask HIM to show me what He wants me to see and protect me from what he does not. In fact we ALL do this in our family. Yesterday, I read a book called “Prophet” it is very well known. In fact, it came out in 1992. The author, Frank Piretti, has always fascinated me, because He digs deeper than many. God gives him so much insight. It makes me wonder whether or not the writing has affected him personally. The point of the book is that God gives us gifts. He gives us many gifts, as He desires for us to receive them. We have a WILL of course, and we have CHOICE. We can believe what He desires, and walk HIS way, or we can straddle the fence. 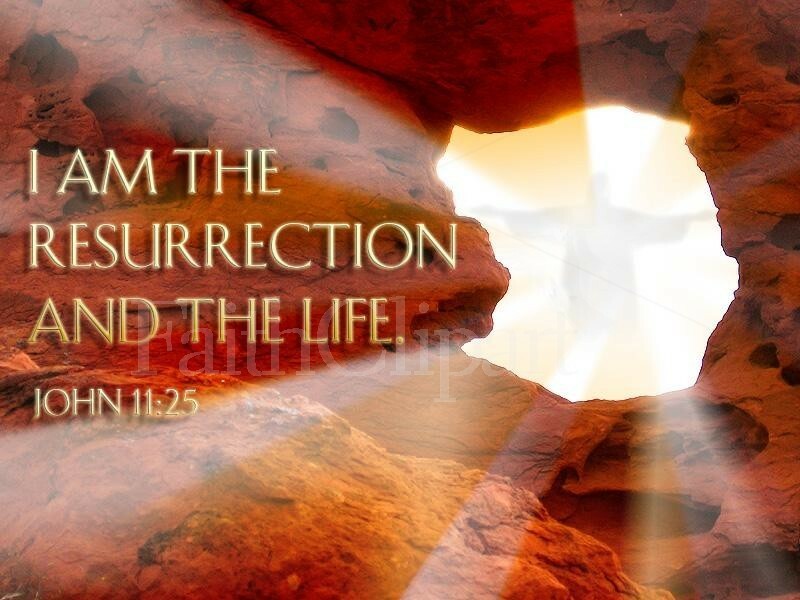 The LAMB of GOD has come, been slain, and resurrected, yet today suffers as He did when He walked the earth. He suffers through us, as we do. But, He also rejoices because He sees the bigger picture. 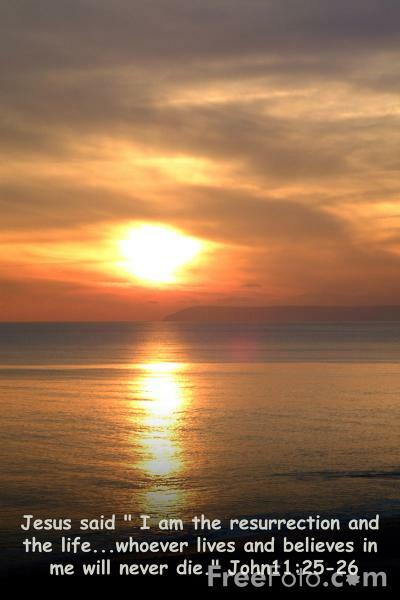 He sees the END result, which is the GLORY of GOD being birthed. Disorder and chaos may look scary, and at times even feel that way. Jesus felt afraid from time to time, but He never came into agreement with FEAR. he never received the lies. Our prayer today is that GOD will pour out HIS GLORY, so that many will receive the FAITH of a child, and see that FAITH GROW and FLOURISH in HIM, as He transforms HIS children into the signs and wonders. As God alone, from HIS throne, resurrects HIS kids, crowned in HIS Glory, the world will be in awe. Then, the challenges will be greater, then the great falling away will come, but only after the GLORY AWAKENING and INVASION of our mighty KING. Do you want to experience the LOVE of your FATHER, the one who matters most, who is waiting for you to surrender? Or are you content with the lies? This is the dilemma. We stand NOT in condemnation, because the LORD never condemns. God corrects us, the enemy condemns us. The LORD will never lead you where the GRACE of GOD cannot keep you. Receive the Heavenly Father’s Love today. Know that your birth right resides in HIM alone. He desires you to sit with HIM in Heaven and reign.